I have to admit, that off all the products released to date this year, this is the product I was most eagerly anticipating- and it did not disappoint. 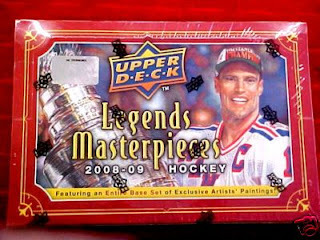 The Masterpieces artists at Upper Deck managed to capture, in stunning, color detail, some of the games greatest moments in hockey history, and in so doing created miniature pieces of art, worthy of the Hall of Fame let alone every hockey fan’s collection. I have been sick and then my daughter got sick, and then my other daughter got sick and now my wife is sick, so it has been a hectic week. Sorry for the lack of fresh content. This is a dated post but in re-reading it, I realized it had just as much relevance today as when I wrote it 3 years ago. I was inspired to post this after reading a great post about the current and future status of card shops on BadWax. By reading industry publications and talking to dealers you regularly hear a recurring complaint. Hobby storeowners whining and complaining that the “industry”, which typically means the manufactures, don’t do enough to help them promote the hobby. I always find it amazing then that when the manufactures do something to help promote the hobby that hobby storeowners routinely mess it up. Case in point with Topps Turn Back the Clock promotion. As a way of celebrating their 50th anniversary in the football card market, Topps produced a hobby store exclusive set and launched it this NFL opening weekend, where for a nickel, collectors could purchase the first 5 cards of a 22 card set with the purchase of any 2005 Topps football product. In the 17 subsequent weeks of the season, collectors can return to their participating hobby shop and with another purchase of Topps ’05 football products, would be given that weeks card. This is a tremendous opportunity to drive traffic to local hobby shops and get the start of the NFL season off to a success for storeowners. Friday evening I stopped by 3 card shops to get there feedback about the upcoming weekend and if they were expecting big traffic. Would you believe that one owner told me he had been out of the special 5¢ packs for a week. A week! I asked him knowingly, “Oh, I thought the promo started tomorrow to coordinate with the opening NFL weekend?” Would you believe the guy looked at me like I was from Mars and asked, “Where did you hear that?” Gee, I don’t know -- every hobby publication, website and pack insert of ’05 Topps Football. It was another case of a clueless storeowner blowing an opportunity to market his store, celebrate the hobby and take advantage of a manufacturer promotion. Next came stop number #2. The owner of this store was already selling the nickel packs because he said the season actually started Thursday with the Patriots vs. Raiders game. Ok, I can buy that but he wasn’t even requiring a purchase of a Topps football product. Not only that, if you bought the nickel pack he was giving you the next week’s card of Tom Brady. My jaw dropped, but I said nothing because… well what can you say? 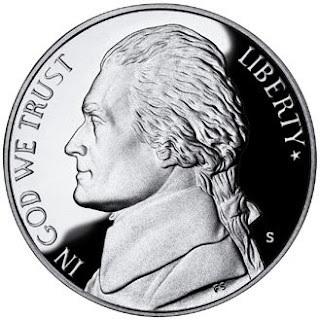 Hope you enjoy counting your nickels and expect a slow weekend next week. I left shaking my head. Store number 3. This guy got it right. While not actively promoting the event or the 5¢ packs on Friday, if asked and with a purchase of any ’05 Topps football product he would sell you a nickel pack and was sure to mention to stop in next week for the Tom Brady card. Finally somebody got it right. I guess the old saying is true, “you can lead a horse to water, but”, well you know the rest. On a more positive note, I had a garage sale this weekend. I know, big deal right? Well let me tell you something, I pulled out a 5000-count box of star, and minor star baseball cards and a 3200 count box of multi-sport star cards in addition to 5 boxes of 1991 over produced baseball product thinking this would be a good way to get rid of some doubles. While I was hoping to sell the boxes in bulk, instead the day turned into romper room with all the kids in my neighborhood. One 36ct box was missing a few packs so I put 25¢ on them per pack and marked the unopened boxes at $7 but sold them for $4. The day was spent sharing the hobby with young kids, some for the first time. By the end of the day I had groups of 3 and 4 kids each with $1.00 going in together and buying a $4 box of cards most collectors would rather burn than have to lug back in the house. You know what? They loved it. Most of mine and the neighbors driveway was filled with kids ripping open packs of pre autograph, memorabilia, parallel, foil, short print, serial numbered cards -- and they were beaming. It reminded me of when I first started collecting when I was 9 or 10 and being so excited to pull a Cubs or a White Sox player. Back then it wasn’t about “a hit card” or “big pull” it was about fun. It was nice to see that things haven’t changed much when it comes to kids and new collectors. The box of star cards while well sorted and looked at with plenty of “ooh’s and ahh’s it was the 5 boxes of 1991 wax that disappeared first because the kids loved opening the packs to see who was inside. So if the opportunity presents itself have a small garage sale and pull out those dust covered boxes of cards you just don’t know what to do with and watch the faces of the neighborhood kids light up like it was Christmas. You will be amazed at how you feel and the memories that the experience will conjure up. 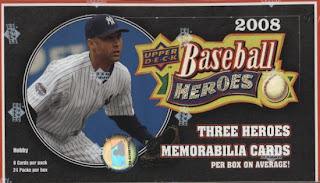 If You Like Memorabilia/Relic Cards . . .
. . . you are probably going to like Upper Deck Ballpark Collection. Check out this review where my friend Russ pulled an 8 piece game-used memorabilia card. Who doesn't like free stuff? If you are a rabid collector with more "jones" than money, you'll look for anyway to scrounge free stuff to "feed the need"
You know what they say about assumptions right? So if you guys already know this stuff don't shoot me. Have you ever read the fine print on a wrapper? Part of the text reads, "No Purchase Necessary. For your chance to win these inserts, at the same odds. . yadda . . yadda"
Basically this is there way of getting around gambling and lottery laws. No it's not out of the kindness of their heart. Typically, you had to fill out a 3x5 card and mail it with a SASE. Time consuming and not FREE. Well Upper Deck now provides collectors the ability to utilize an online NPN system. Both websites have a daily weepstakes for autographed photos, and mini-helmets. I actually won a very cool Bob Feller B&W 8x10. It takes just seconds, as you can populate the fields in the registration form via AutoFill. For non-sportscard collectors, scifihobby.com offers FREE samples of pending and current releases. This was posted by rosschrisman at SportsCardInfo last week, while I was out of town. 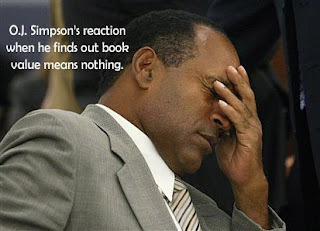 I'm sure you have all seen it but just in case, this is too funny to pass up. I really love his blog and it is one of my "go to" sites everyday. This is one of the best times of the year. When all the major sports start to converge in a cacophony of masculine testosterone. MLB Playoffs, NHL Preseason, NFL early season rust wearing off, and NBA hoops around the corner. It seems that there are a ton of products coming out in the next few weeks. I thought I'd provide a quick run down on products to keep an eye out for. I had a chance to sample a mini-box of 2008 Topps Letterman Basketball and I was happy I did. In this box I got four cards and I was hopeful of getting at least one good hit - - instead I got two. Talk about a humbling experience. 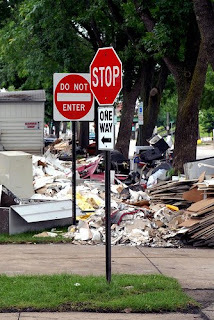 Picture an 8x8 square MILE tract of real estate with block after block after block of abandoned homes. It always amazes me too that the people most effected by an occurance like this are the ones that can least afford it. To say my life has been changed is an understatement. I am recovering from a major respitory infection brought on by working around all the mold. I'll have more details on the trip later but in the mean time here is a link to part 1 of a photo gallery. I am going to be taking a couple of days off from posting as I will be in Cedar Rapids, Iowa. Even though the waters receeded several months ago, there are entire neighborhoods that continue to look like this. Once it left front-page news for some other main stream media, flavor of the day, relief aid in $'s and volunteers disappeared as well. Their are still hundreds of displaced families unable to occupy their homes living in shelters, out-of-state, or even in their cars. With winter fast approaching their is a desperate need for manpower. 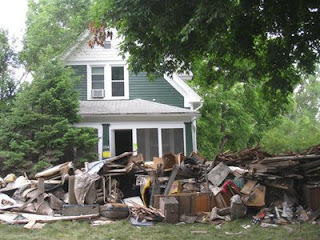 I wil be working with a volunteer group to begin demolition and rehab on 5 homes over a long weekend. It should be an interesting experience. 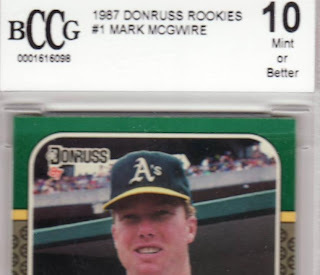 Top Ten Uses for '91 Donruss . . .
. . . and other garbage from the era of over-production. 10. After being inserted into a criss-cross shredder, they make excellent kitty litter. 9. After shredding can also be used as Oil-Dry. 8. While lacking the absorbency of newspaper, in a pinch, can be used for puppy potty training. 7. When stored in 800 count boxes, are the perfect width for wall insulation between the studs. Simply stack between the studs from floor to ceiling. 8ft ceilings will require approximately 25 boxes. 6. Keeps toddlers occupied while you blog, eBay, trade, or otherwise "work" on your collection. 4. BB or pellet gun target backing. This can be accomplished several ways. My preferred method is to make 2 rows of 800 count boxes, side by side, glue, stack and repeat to a height of 3ft (requires a total of about 18 boxes, 9 on each side, and spray adhesive works best.) Then glue or tape police silhouette to boxes. Easily moveable and can be used anywhere. 3. When used with the appropriate, corresponding box can be used as a prop or lift for anything. Wobbly, uneven table legs, furniture for carpet drying, my daughter thinks shes too big for a high chair so I sit her on 2 layers of 600 count boxes, be creative, use your imagination!! 2. Adds increased R-value when used in an attic as additional installation. Just shred and blow baby! Or save the shredding and increase the quantity by distributing a 2" layer for every square foot, or roughly 800 cards. 1. Makes excellent tinder for any bonfire, 800 count "logs" work best. Smaller quantities can be used for back packing (enough to fill a team bag) and 300 count boxes work excellent for car camping. Labels: over-production, Top 10 List, uses for . .
Small-town rural America, with its throwback Main Streets, complete with diner, barbershop, newsstand, hardware store and antique-shop, provides a glimpse into the past. When times were slower, more simple. A time and place where you knew your neighbors, sipped lemonade on hot summer nights, swinging on an old porch swing and listened on the radio to ‘the boys of summer’. The events of a mid-summer baseball game, back in the golden age of baseball, was an “on the edge of your seat thriller” complete with heroes and villains. Willie, Mickey, the Duke and so many more of the game’s greatest players. Recently on a road-trip to western Illinois, an area that boldly defines the heart of the Midwest, I frequented several small towns, exploring every antique store and garage sale I came across. Always on the lookout for baseball cards and memorabilia of yester year, the process becomes more like an extended treasure hunt. As in most rural communities, antique shops abound. Most are quaintly decorated boutique like stores filled to the ceiling with everything from furniture, china and glassware, vintage clothes and signage, books, tobacco paraphernalia, and occasionally, albeit rarely, sports memorabilia. It was in a small town whose population sign, proudly displayed, 175, established 1845, that I came across the kind of find that one only dreams about or hears on the news or reads in the paper. An assortment of vintage cards that could hardly qualify as a collection in its entirety, but instead proved to be a sampling of memorabilia from the golden ages’ greatest hero. An aged and yellow sign, affixed to the top of a dusty cigar box simply said, “Assorted baseball cards”. Blowing the dust of the top of the box and coughing as I created a cloud, and waiting for the dust to settle so as not to disturb the unknown contents inside, my pulse raced and my hands begin to perspire with anticipation as this box had clearly not been looked thru let alone opened in years. Raising the lid ever so carefully, my eye immediately was drawn to the striking white borders of some of the cards in comparison to the darker tones of the dusty box. 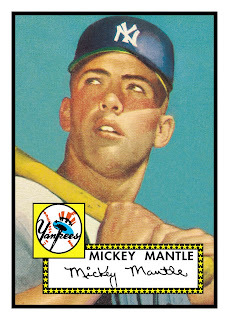 And there it was, a pile of cards, at first glance maybe 5 or 6, Topps 1952 Mickey Mantle Rookie cards. As fresh as the day they came out of the pack they were wrapped in ordinary kitchen cellophane wrap. The corners were, sharp and unblemished. The edges displayed white as paper without a sign of any yellowing. The surfaces of the cards protected for years from contact with each other with a piece of tissue paper between each card, revealed, un-creased, unscratched surfaces that looked, quite frankly . . .new. Holding in my hand the most valuable post-war baseball card ever produced I could hardly contain my excitement. I asked the elderly woman how much she wanted for the box of cards and she naively replied to me, “$100”, her voice filled with boredom. 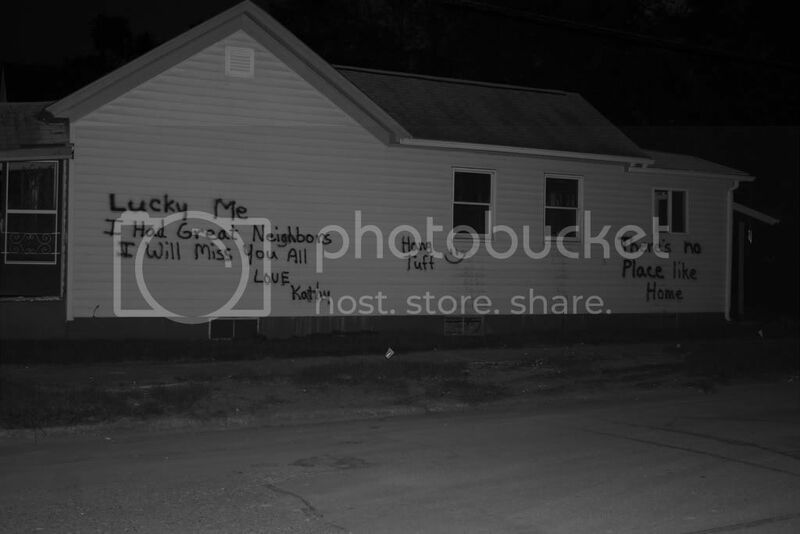 Small town America, only in small town America can you find hidden treasures valued not for what they are worth, but for what they are worth to someone. I’ll never forget that trip and the sweet woman who made me feel like a kid again for $100. Ok, this one I sort of understand. Sort of. Actually, I think it is just a classic example of CYA, sure laziness or a combination of the two. A game used, autographed card, with a serial numbered print run of between 1 and 20 has very little difference in value REGARDLESS OF THE BRAND IT WAS PULLED FROM! A few years ago Beckett actually tried something that I thought was a decent idea. Anybody remember the matrix called the C.H.A.R.T? It was a fancy acronymn for something that I don't remember now but the principle was simple in theory. Example: A single game used jersey, 1-color swatch card of Alex Rodriguez numbered to 100 has a price range value of between $x and $y It doesn't matter if comes out of Topps Series One or Sterling. The range still applied and this pricing model was very simple to use and understand. It provided a quick snapshot of expected value. The C.H.A.R.T. pricing model even made it possible to approximate a range for low numbered cards. Now Beckett provides us the useless information for a card serial numbered to 20 or less: No Pricing Due to Scarcity. Really? Ok, well in the exact moment in time when I choose to sell a few cards of the aforementioned numbering I can tell you exactly what they were/are worth. Hey Joe, you might want to print this out and put it in your Beckett Annual. Speaking of "The Card" . . .
What we found: 192 total cards, including 135 cards from the base set for a completion rate of 67.5%, 14 parallels, 6 inserts, 3 memorabilia cards, 1 autographs, 33 doubles. Quick Thoughts: Over-all, a good value despite too many unnecessary parallels, however, I really do miss this as a tin product with a retired only player checklist. Looking for an inexpensive way to load up on RC’s from ’08 Draft class? Look no further than NFL Kickoff. With a price tag of only $.99 cents per pack, this is a truly cost effective way to acquire all the years key rookies including; Matt Ryan, Brian Brohm, Chad Henne, Joe Flacco, John David Booty, Colt Brennan, Darren McFadden, Rashard Mendenhall, Mike Hart, Kevin Smith, DeSean Jackson, Malcolm Kelly, Limas Sweed, Mario Manningham, Devin Thomas, Glenn Dorsey, Chris Long, Vernon Gholston, and many more. Obviously this isn’t necessarily a product for the seasoned collector but it is an efficient, entry level product that delivers what so many collectors seem to ask for. An attainable base set, with only the best players from each team, and the year’s top rated rookies. Hold the bells and whistles. Kickoff comes close to delivering that with 220 cards consisting of 165 veterans and 55 RC’s. 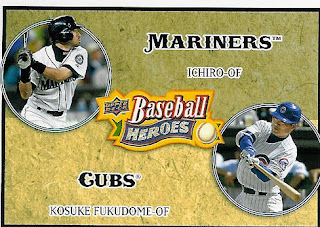 Baseball Heroes has a long history in the Hobby and has always been one of my favorite inserts. I like the game specific theme to the cards that bring the history of the game to light. On a typical card back, with the detailed statistics, it’s easy to forget that these men, play, a game. 162 of them to be exact, and each one is different and unique from every other. It always amazes me that over the course of a full season of watching Baseball Tonight the number of times you hear seasoned, veteran reporters, with years of journalistic experience, quote the phrase, “Well, I’ve never seen that before.” So the detailed game synopsis on the back of Baseball Heroes cards, serves as a reminder that baseball is more than just stats, it’s about a game, the game of baseball. Yeah, I know it's a bogus day to have a B'day after what happened 7-years ago but what are you gonna do? I have been out of town (Baltimore) at a trade show and thought I was going to have time to go here, but my schedule just didn't allow it. My hotel was only a short distance from Camden Yards and I must say that if the inside of the park is as aesthetically pleasing as the facade this could be one of the most beautiful parks in baseball. Next year's show I am definitely allowing for an extra day. This book is a must read for every collector. It provides a thorough and detailed examination of several different aspects of the hobby by a proven investigative journalist in Michael O'Keeffe. A member of the New York Daily News sports investigative team, he brings over 20 years of credentials to this book that reads more like a mystery novel than a non-fiction book about the Hobby. While the recurring theme in the book is about the legendary PSA8 T-206 Honus Wagner, often referred to as "the Gretzkey Wagner", having once been owned by the legendary skater, the drama that unfolds to reveal harsh accusations of gross impropriety on the part of some of the industry's established giants is quite chilling. Mastro Auctions and it's founder Bill Mastro and current President, as well as PSA and it's founder Joe Orlando and Sotheby's are all "taken to the wood shed" in this no-holds-barred, tell-all expose.The following excerpt captures the writing style and theme of the book perfectly. "Over the decades, as The Card has changed hands, its value has skyrocketed. It was initially sold for $25,000 by a small card shop in a nondescript strip mall. Years later, hockey great Wayne Gretzky bought it at the venerable Sotheby's auction house for $451,000. Then, more recently, it sold for $1.27 million on eBay. Today worth over $2 million, it has transformed a sleepy hobby into a billion-dollar industry that is at times as lawless as the Wild West. The Card has made men wealthy, certainly, but it has also poisoned lifelong friendships and is fraught with controversy—from its uncertain origins and the persistent questions about its provenance to the possibility that it is not exactly as it seems. " 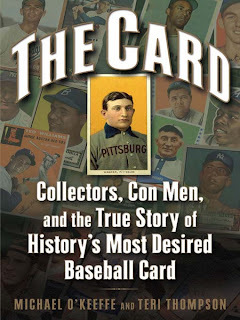 I encourage everyone who has even a vague interest in the Hobby, let alone die-hard collectors, to read this gripping tale of "collectors and con men." I don't know what Michael Eisner is going to do with Bazooka Joe . . .
. . . but I bet it's not this. Obviously as a bi-Soxual Cubs fan . . . . before I go any further I should probably explain what that means so there are no misunderstandings. I am a Chicago fan. Blackhawks, Bears, Bulls, Cubs, and Sox. Being from the western suburbs and not the city proper, I have the luxury of not having to claim an allegiance to only one team. But since your going to ask, if the Cubs were to play the Sox in the World Series who would I root for? Answer: the Cubs. They haven't won the whole thing in my lifetime. I cried in 2003 over the "Bartman" incident (truth be known, it was really the botched double play immediately following, that was the real down fall of that game coupled with Dusty Baker being out managed by Jim Leyland in the remaining game of the series) anyway, I digress, and I celebrated like crazy when the Sox won it all in 2005. Call me wishy-washy, or tell me to pick a lane, I don't care. I'm a Chicago fan who has a simple rule; No New York team should win anything, ever. 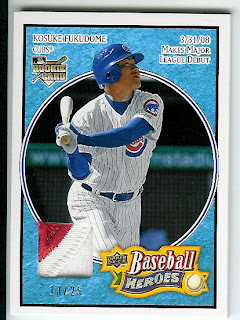 So as a Cubs fan, you can imagine my excitement of pulling this sweet patch card, numbered to just 25 of Japanese import Kosuke Fukudome. He needs time to adjust to the fact that pitchers have figured out that he has a hard time with pitches in on the hands. Despite that he still has a respectable on-base percentage as he is a very patient hitter. What makes a good, acceptable and bad insert? Obviously there are several schools of thought on this topic and opinions vary. However, recently opening a box of the new Upper Deck Baseball Heroes provided me an opportunity to display specific examples of each. (In my opinion) While "technically" not inserts, as they are part of the numbered base set, for purpose of illustration they work just fine. *Note* Complete box break and review to come. Good- One card features retired greats from a storied franchise. The other depicts a team's hero from yesterday and today. Ideal for a team or player collector. Acceptable- It does have a theme (Japanese imports, both outfielders), personally however as a team and player collector, I don't want this. Bad- This just doesn't work for me. Weak theme (Same position), who wants these types of cards?!? Not me. Sorry for the terrible crop jobs. I'm tired. I was attending our annual 3 day sales conference for work and have been unable to post. I should be back in the saddle this weekend. If anyone wants a sample of Topps attempt to compete with FatHead, send me an email with your mailing address. Random player picked, 1 per person. I can't believe MLB is trying to sell these things in their Online Shop at almost $10 bucks a pack. When is a "10" Not a "10" . . . .
. . . when it's a BCCG 10 of course. In late 2001 or early 2002. Beckett Grading Services entered into a deal with one, or more, of the home-shopping television channels, i.e. QVC, Home Shopping Network, and Shop at HomeTV to provide a new "brand" of grading service. This new "brand" would allow their now defunct sports memorabilia shows' pitchmen to, loudly and obnoxiously, hail the attributes of "Mint 10's" for the likes of Barry Bonds, Sammy Sosa, Mark McGwire, and Ken Griffey Jr. to name a few. Never mind that the majority of these cards were from the era of over production, but instead note the new brand that was created. BCCG or Beckett Collectors Club Grading, whose slogan might have well been, "It's a 10 because we say it is!". With a clearly designated description of "Mint or Better", under the grades numerical value, what many novice and even veteran collectors didn't initially realize, was that the cards slabbed with a BCCG label, were graded under a different set of criteria than the company's two other "brands" of grading services, BGS and BVG. Now some of you might be saying, "Dude, get over it. That was like 8-years ago." I'm aware of that, thank you. The problem is, this garbage still exists on the secondary market today and serves as yet another example of how Beckett is no longer looking out for the best interests of the collector. The self-created confusion regarding the grading card process had an adverse effect on collectors and was created for one reason and one reason only, increased revenues.The bigger argument I have is that they still offer this as one of their grading card "services", there by continuing to litter the marketplace with cards of questionable grade. If a card is a 10, then it's a 10. Period end of story. If it's not, and its actually an 8 or 9, you don't "dumb-down" your grading criteria so that someone can pay you to call it a 10. This is in essence what they did by creating the BCCG brand. With the seemingly ever increasing cost of sports cards and the continuing compulsion I feel in my late 30’s to “bust wax” looking for those ever so sweet autographs, I have found a more reliable, fulfilling and cost-effective alternative- signature requests through the mail. Over the last couple of years I have become heavily involved in one of the least discussed yet most rewarding aspects of the hobby. With a tradition as storied and as long, if not longer, than sports card collecting, the, often, elusive quest for an athlete’s signature remains a corner store of the hobby. Some simple guidelines and resources make this avenue of collecting a true joy as each new day brings the potential of a mailbox surprise. While it might seem like common sense to some, others will gain greatly from these simple suggestions.Send a legible, hand written request. It personalizes the request. Keep it brief but cordial. Give a reason for your request. i.e. “I’ve always admired the way you play the game.”, “Your pass in the 1997Playoff game to win it in OT was awesome!” Say please, thank you, and be sure to “ask” for the autograph. Do not use address labels for the recipient's address. It looks like you are doing a mass mailing. Standard 1st class postage for each envelope is sufficient for trading cards. There are few hard rules when it comes to what to send but keep in mind that not all autograph requests are returned, signed or not. Don’t send items whose 2-way shipping value exceeds the value of the autograph itself. That’s just dumb. Don’t send an item that you would regret not having returned. It happens. Personally, when applicable I prefer to send cards from the era of mass over production, 1986-1995. It makes me feel better to have the opportunity to get some value out of these cards if they do come back signed. Nobody likes licking envelopes. Be sure the SASE is the self-adhesive kind. What if you don’t have an item? You can request the athlete send you a photograph but typically these will be auto-penned or perhaps even secretarial/clubhouse signatures signed by someone other than the athlete. Whenever possible send your own items. There are an abundant number of resources at your disposal for address information from books, to websites, lists, and magazines. Obviously you may have your own preferences and/or favorite means but I’ll share with you my personal favorites.A website called http://www.startiger.com/ I have found to be an immense help. For only $4.99 a month Startiger allows you access to their daily updated online database of celebrity and athlete addresses. This has been one of the most effective resources I have found for finding current home addresses. The shear volume of request that most athletes receive at their team stadium often prohibits the athlete from responding to requests. However, when it comes to home addresses, not all but many, athletes seem to think you’ve gone the extra mile and there is far less competition relative to volume.Another inexpensive resource is a publication simply titled Autograph Collector. It is monthly publication that provides editorial content relative to the hobby, and more importantly provides a monthly listing of over 300 addresses. They are not all of athletes but we obviously all have interests outside of sports so you may even decide to expand your collecting niche by sending out requests to your favorite actor, actress, musician, etc. I currently have an overall return success rate of close to 70%. This number is deceiving because it encompasses a wide range of mostly sports, including Olympians, boxing, woman’s softball and other small ‘market” segments. What I find very interesting however is the individual sport return numbers and you might be surprised to find out that HOF football players in my sampling over the last 2 years have the highest return rate of any sport or sport segment with a return rate of over 80% and include such famous players as Dan Fouts, Terry Bradshaw, Barry Sanders, Steve Young, and John Elway.. What might not be surprising is that active baseball players are the worst signers with a few exceptions most notably Jim Thome. Former Olympians is another segment with a very high success rate, as well as former Indy car drivers. Successes from theses categories include Mary Lou Retton, Bart Conner, Greg Louganis, Carl Lewis and Michael Andretti, Mario Andretti, and Emerson Fittipaldi respectively. If you are a fan of some of the less mainstream sports as I am, you maybe wondering how to locate inexpensive pieces to send out for autographs. If you are not already aware, you will be happy to learn that most sports at some time or another have had sports card releases. Boxing aficionados can find dirt cheap unopened boxes of Kayo Boxing cards from the 90’s on eBay for just a few dollars a box. In those boxes you will find cards of such legendary fighters and personalities as Sugar Ray Leonard, Thomas Hearns, Marvin Haggler, Ray “Boom Boom” Mancicni, George Foreman and even Mr. “Let’s Get Ready to Rumble” himself, Michael Buffer. (He recently returned a request signed!) In addition their have been a few Olympic releases by Impel and contain many names from yesteryear. These are just a few examples of the forgotten material out there of sports outside the Big 4. 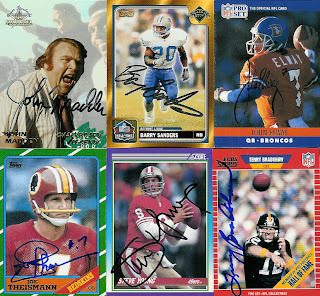 In addition, as you may or may not have seen on other blogs, a company can be found on the web at www.theautographcard.com that provides sport specific generic cards perfect for signing. The cards require no rubbing and sharpie signatures look great. Available sports currently include baseball, football, hockey, golf, basketball, wrestling, and boxing. The company even has prospect cards and cards for dual and triple signatures. A pack of 25 costs only ten dollars and they even make a multi-sport sample pack.